Cloud9 end the play-in stage undefeated. Cloud9 take down Lyon Gaming Thursday morning to end the play-in stage undefeated as they move into the League of Legends World Championship main stage. As the undeniable favorites of this series, Cloud9 entered this match expecting to 3-0 their opponents. And while Cloud9 matched the community’s expectations, the North American team encountered some difficulties along the way. 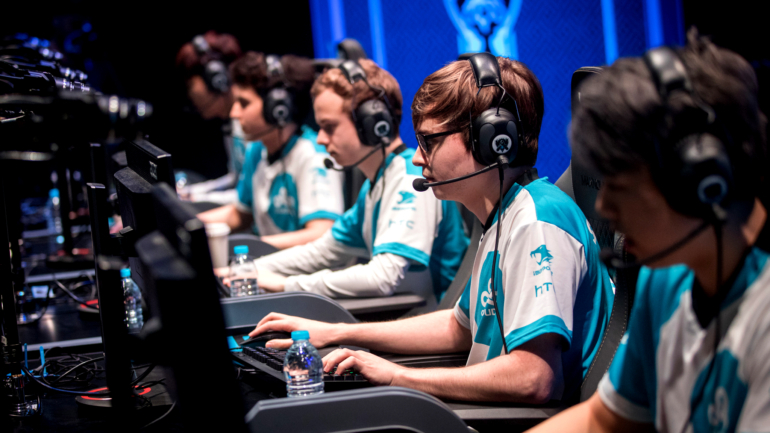 After a clean game one victory, Cloud9 fell into a hole. Lyon Gaming, known to excel in the early game, found an early lead in game two. Lyon Gaming pushed this lead as much as they could, and were rewarded with Barons and Cloud9 inhibitors. But that’s all Lyon Gaming found. Cloud9, committed to winning, made sure to do whatever it took to stay in the game. From creative picks, to an Elder Drake steal by Zachary “Sneaky” Scuderi, Cloud9 not only managed to even the gold differential, but bring the match to the late game. Unfortunately for Lyon Gaming, despite a spectacular early game, the team couldn’t match Cloud9’s late game macro play and decision making. One 60-minute Baron fight mistake later put Lyon Gaming on the brink of elimination. Cloud9 continued their momentum into game three with a decisive victory—one that qualified them for the World Championship’s main stage. But before Cloud9 can start to prepare for the next round, they will have to wait until tomorrow to see which group they will be placed in. The group stage drawing for the four qualified play-in teams is set to begin on Sept. 29.